Hey fellas, today I want to give you my review and rundown of the Seiko Prospex SRP779 Dive Watch and why it’s on my wrist about 80% of the time. Okay fellas, it’s great to see you and as always, I’m glad you’re here. If you’ve been around for a while, you know that I’m not a watch expert by any stretch, but you also know that I’ve been working on it and I’ve been trying to upgrade my personal watch collection. I’ve shown this watch before in the NATO strap video I made, but I realized that I’ve never actually talked about it. So today, I wanted to give you guys my brief review and rundown. First up, a little history about Seiko I dug up on line. The company was founded in 1881, and in 1892 they started producing clocks under the name Seikosha. The first watches made under the Seiko brand came out in 1924. In 1969, Seiko introduced the Astron, which was the world’s first production quartz watch and when it came out, it cost about the same as a car. So I picked this one up a few months ago and I really like it. This model comes with a silicone strap, but I asked the store I bought it from to switch it out for the metal bracelet. 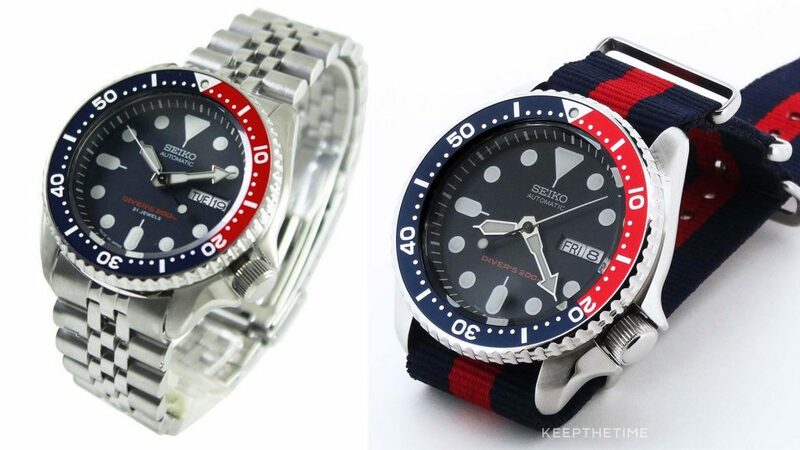 I also fell in love with this picture I found on Google with this red & blue NATO strap, so I got one on Amazon (link below). Let me jump into a few of the specs on this watch. The name Prospex essentially means Professional Specifications. Lug width is 22mm, so if you’re looking for a different strap for it, look for 22mm straps. Getting the spring pins out to swap out straps can be a challenge, but it could just be me. It is a little large on my wrist and it has some good weight to it, but man, I love this thing. It’s large enough to have presence, but not so over the top that it’s blingy. I wear this thing all the time because it goes with just about everything and it’s super easy to wear casually or dressed up. I’ll leave a few Amazon links here so you can go check it out on your own. I’d also like to hear from you guys and what your thoughts are about this watch or any other similar watches in this category. If you haven’t already hit the subscribe button on my YouTube channel because I’m making videos twice a week. Guys, I’ll see you in a couple few days with another video. Until then, take care.